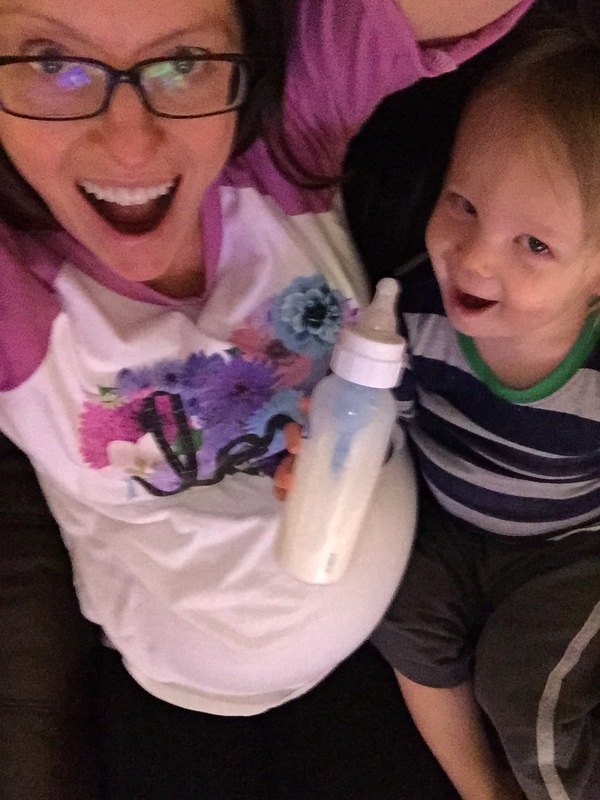 Whoa, this is the last pregnancy update!!! 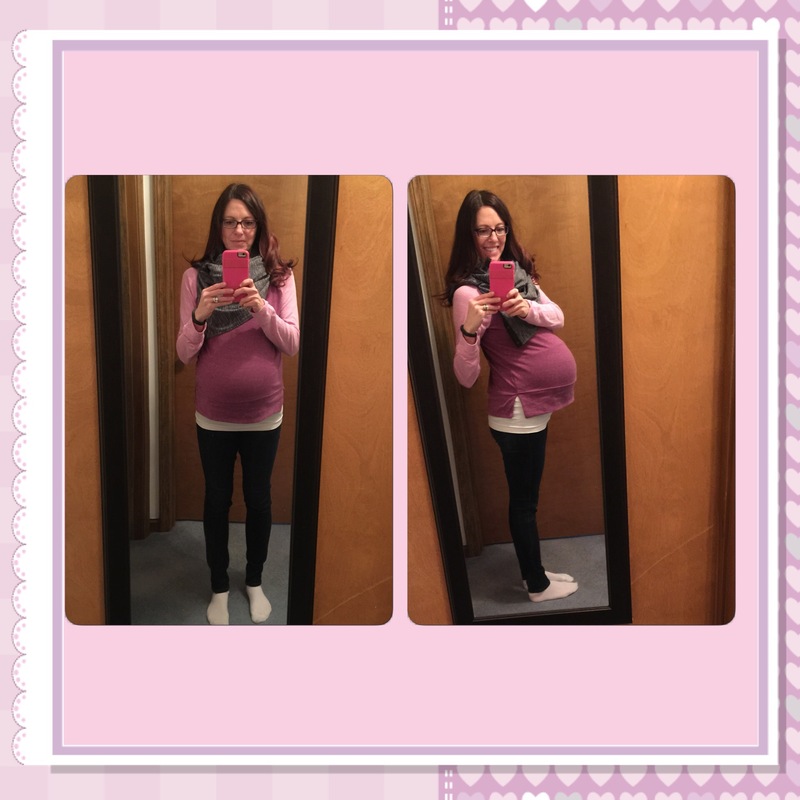 I will have my c-section a few days before I would hit 40 weeks…eeek!!! 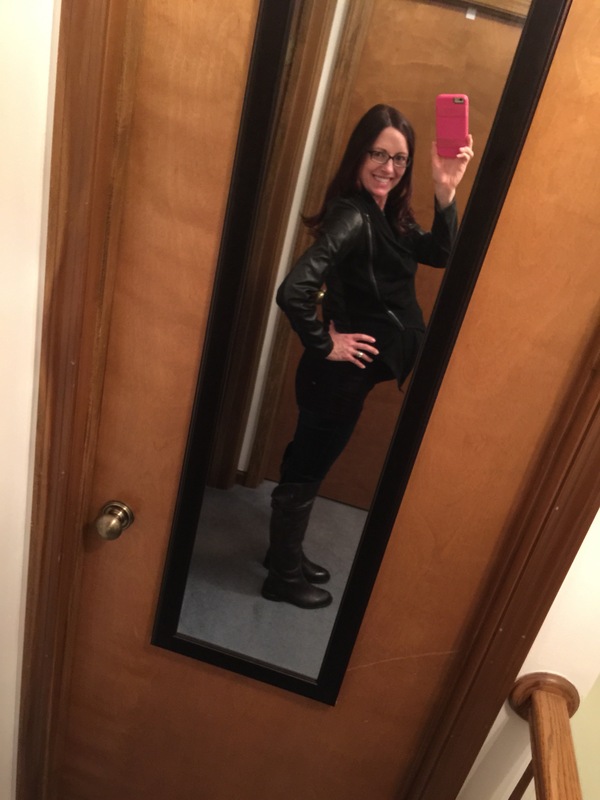 The bump is large and in-charge, and feeling like it has dropped. A few people noticed that I looked like I was carrying lower too. I could definitely feel a difference in my ability to breathe. It has been hard to get a good breath for weeks (months, maybe? ), but now I can take in a full breath without difficulty. The downside of “the drop” is that she is using my bladder as a pillow and I feel like I have to use the bathroom all the time!!!! At my 38 week appointment, I was still a little dilated and when I was hooked up to my NST it was showing that I was having some pretty decent contractions! The nurse asked if I was feeling them, and I said “well, now that I know that’s what they are… YES!” I had noticed lately that my heart would race/tight chest throughout the day randomly. This would also be when the baby would move some and I would have pressure. 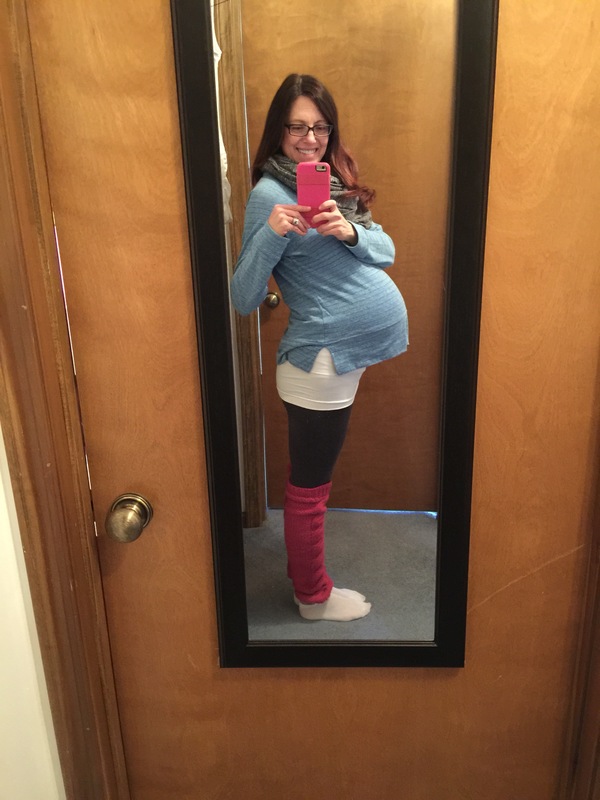 I was just thinking that it was the baby changing position, and since she was bigger it just felt differently. Now I know that when I feel it, it is a contraction. When I am sitting I can see/feel my stomach get really tight, my heart/chest race and a little bit of low pressure. It isn’t anything painful (it’s not comfortable, mind you) but they happen regularly all day. I had my last doctor appointment monday, and everything looked/sounded great! 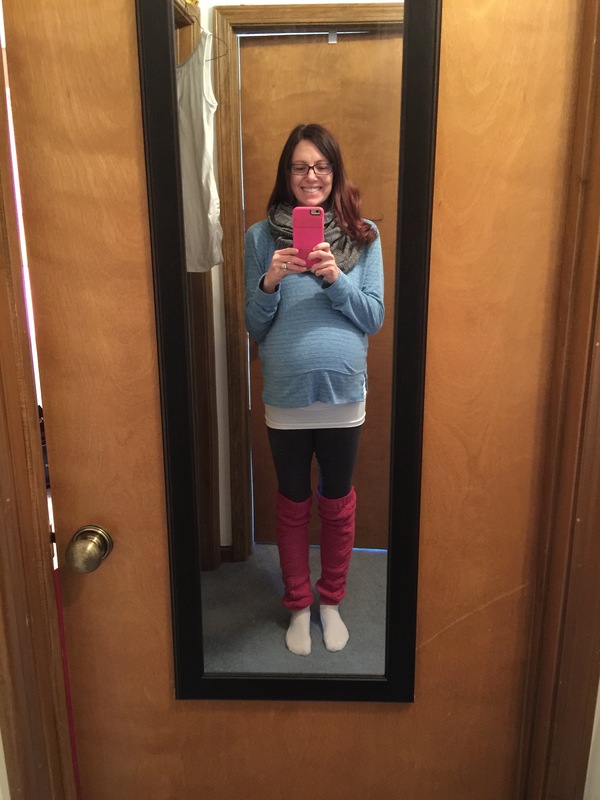 I am/was 1cm dilated and still having those contractions. The doctor confirmed the baby had dropped, but she thinks the baby will wait until Friday for the c-section 🙂 I was kind of sad to see my favorite nurse (Tricia) for the last time til after the baby is born and I have my six week checkup. Everyone in their office is so sweet, it made it enjoyable to make my weekly visits. I am excited, nervous, TIRED, etc. I am still having trouble with sleep (to be expected). But I feel ready as I can be. I got a lot of stuff done over the weekend, thanks to my mom watching Ashton so I could go out. I think I pushed it to hard, because I was pretty beat by Sunday night. This week has been dedicated to relaxing (mani/pedi/yoga). I have been doing some little organizing/cleaning of non-necesity things which is nice, and also reading more. 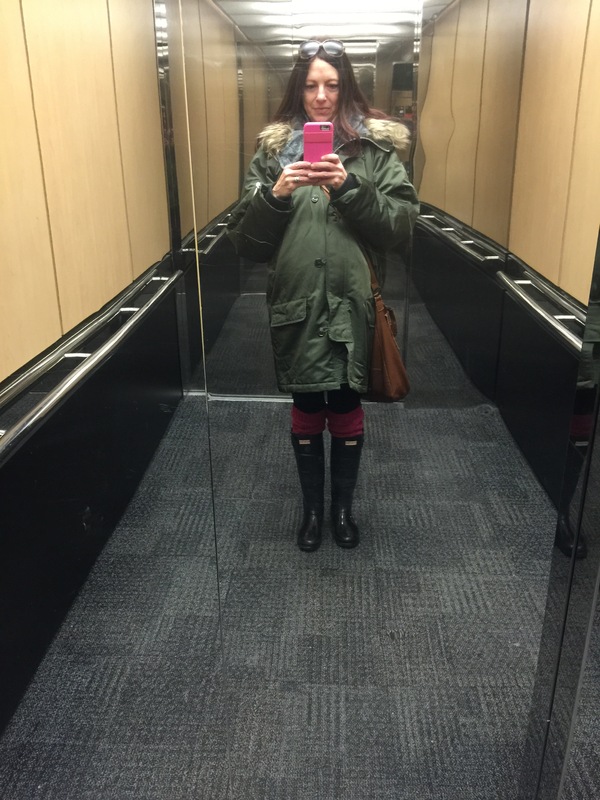 I haven’t walked in a while due to the ARCTIC BLAST, but I have been doing yoga. 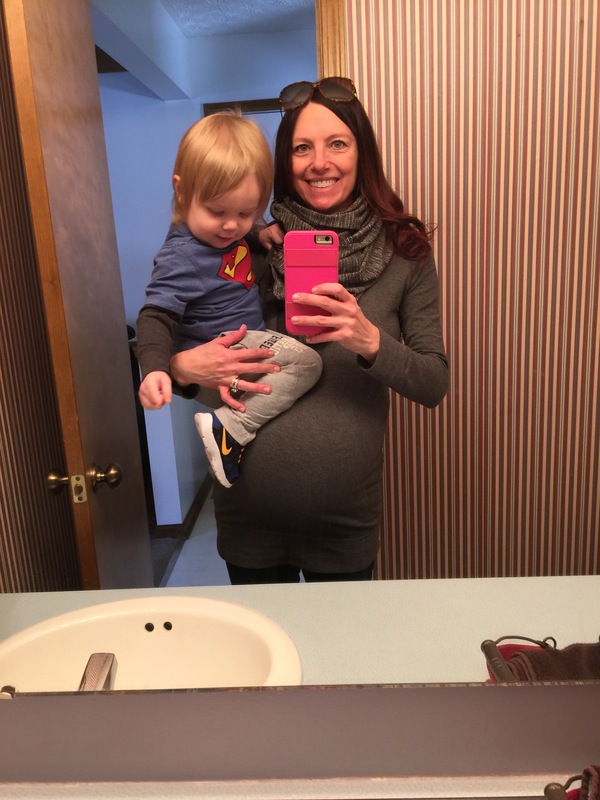 I went to my final prenatal yoga class yesterday… wahhhhhhh! I will miss it sooooo much! 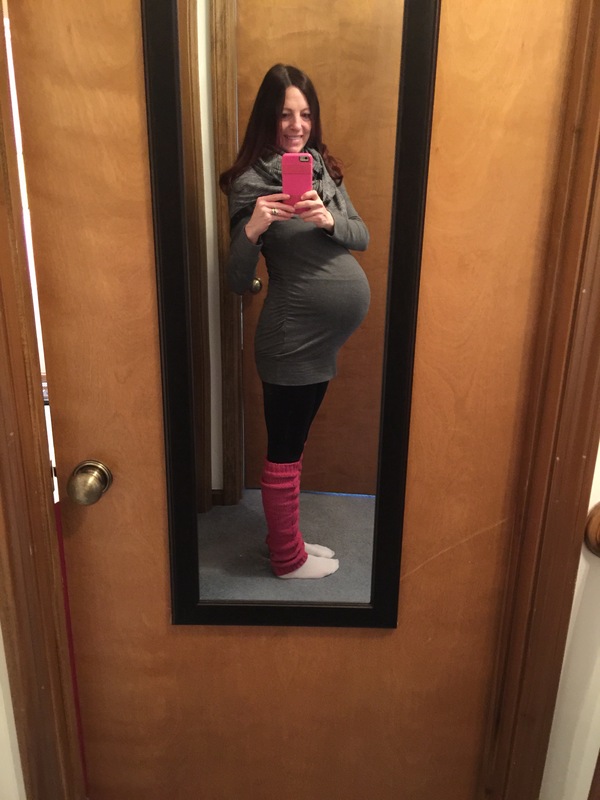 I am looking forward to the Mommy/Baby yoga class and continuing my practice once I am cleared by my doctor. This was my last-day-of-yoga outfit, haha! Me and Ashton relaxing. He loves selfies now! So that is it! I will be back to update on the new baby soon!